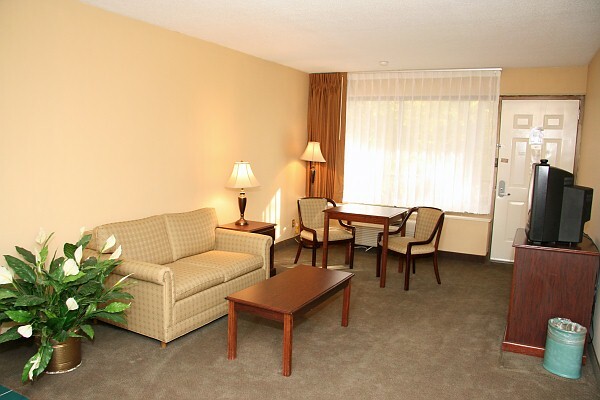 All of our rooms are non-smoking and feature cable television, hairdryers, iron and ironing board, alarm clocks, telephone with data port, and more. 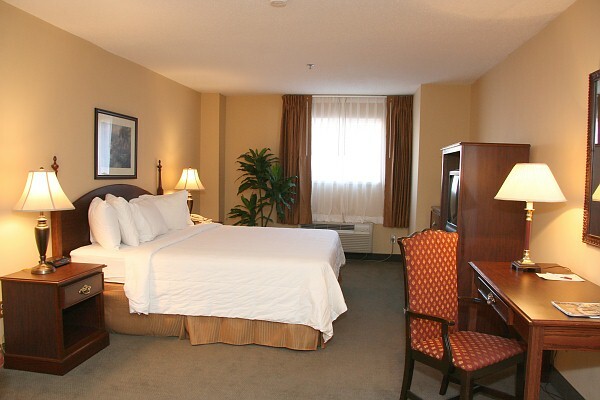 We are pet-friendly and allow pets in select rooms with a non-refundable fee of $25 per stay. Features one king, queen or two double beds, nightstand with lamp, two arm chairs, work desk, wardrobe closet, coffee maker, alarm clock and expanded cable television. Designed for handicap accessibilty. Features a Queen Bed, Roll-in shower, closed caption television, visual smoke detector, low closet, data port telephone. Features living room area with a table, arm chairs, lounge chair, television, loveseat, telephone, microwave, refrigerator, sink and several dry storage areas. Bedroom includes a king bed, a three drawer armoire, television, nightstand, telephone, floor lamp, and wardrobe closet. Features living room area with a table, four arm chairs, two lounge chairs, television, Jacuzzi®, telephone, microwave, refrigerator, sink and several dry storage areas. Bedroom includes a king bed, a three drawer armoire, television, nightstand, telephone, floor lamp, wardrobe closet, wall mounted hairdryer and large bathroom. 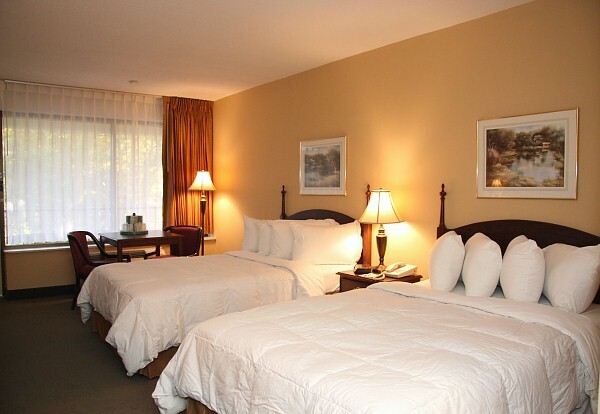 At the Mansion View Inn, we take pride in providing outstanding service & comfort.We are across the street from the Governor’s Mansion and a short walk to the State Capitol, Lincoln Sites, Lincoln Museum, & Historic Downtown Springfield’s Shopping, Food and Nightlife. © 2018 Mansion View & INN Suites.